Born October 15, 1901 in Kiev, Russia, Kaplan and his family emigrated to the United States when he was five years old and settled in Meriden, Connecticut . He began boxing as a 13 year old teenager at the Lenox A.C. in Meriden and turned professional in 1919. A busy fighter, he engaged in over 50 bouts in his first 4 years in the paid ranks. In 1923 he twice drew with rival Babe Herman before scoring a 10-round win over future world lightweight champ Jimmy Goodrich. On 10 August1924 featherweight champion Johnny Dundee vacated his title, due to weight problems, and a tournament was arranged to determine a successor. "Kid" kayoed Angel Diaz in three stanzas, outpointed Bobby Garcia over 10-rounds and then halted Joe Lombardo in four rounds to advance to the finals. On January 2, 1925 he knocked out Danny Kramer in nine rounds at Madison Square Garden to become the new champion ( Russia’s first world champion ) He retained the title twice against the familiar , California based Portugese, Babe Herman (D15 and W15) . In late 1925. Kaplan decisioned Hall of Famer Billy Petrolle over 12 rounds in a non-title bout. However, Kaplan's reign as champion was nearing its end. Despite standing 5ft 4 in. he was experiencing difficulty making the featherweight limit and decided to relinquish the crown to campaign as a lightweight in March 1927. 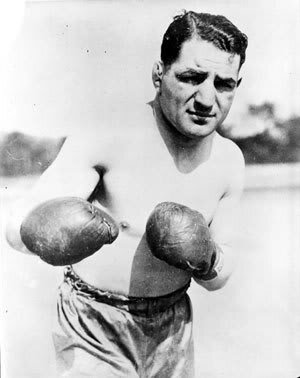 As a 135-pounder, he scored wins over Jackie Fields, Johnny Jadick, Billy Wallace, Joe Glick Goodrich, Battling Battalino and Sammy Mandell among others. Amongst the wins were loses to Wallace, Eddie Ran, and Hall of Famer Jimmy McLarnin. In 1933 he lost to Cocoa Kid and promptly retired from the ring with a 108-17-13D- 12 ND (26KOs) record. Three men got into a car here for a trip to the hospital Thursday and that in it self might hardly be worth noticing. This wasn't an ordinary trip though. Nor were those in the car ordinary occupants. Especially one. His name is Denny McMahon and he's a bright, cheerful 85 but that isn't what makes him worth being noticed. Denny McMahon used to manage Louis "Kid" Kaplan, who was world featherweight champion in the mid-'20s. That doesn't make him so unusual either, but Louis "Kid" Kaplan, 68,now, is bedridden in Norwich State Hospital 45 miles from here and every week without fail his old manager makes the trip to bring him the oranges, bananas, candy and chocolate ice cream he likes so much. Denny was happy and excited over the prospect of, seeing the kid again. 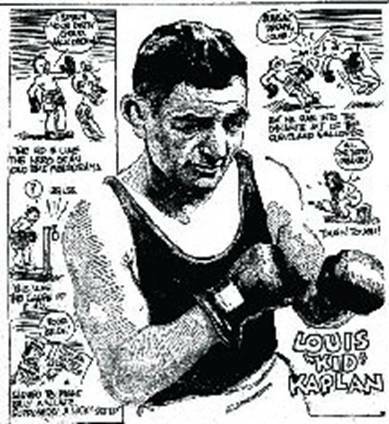 "I was just telling my sister," : he said, "I don't think there was any fighter who .was a nicer boy outside the ring than Louis "Kid" Kaplan. I've never heard him curse in his life and I never heard him ridicule anyone." 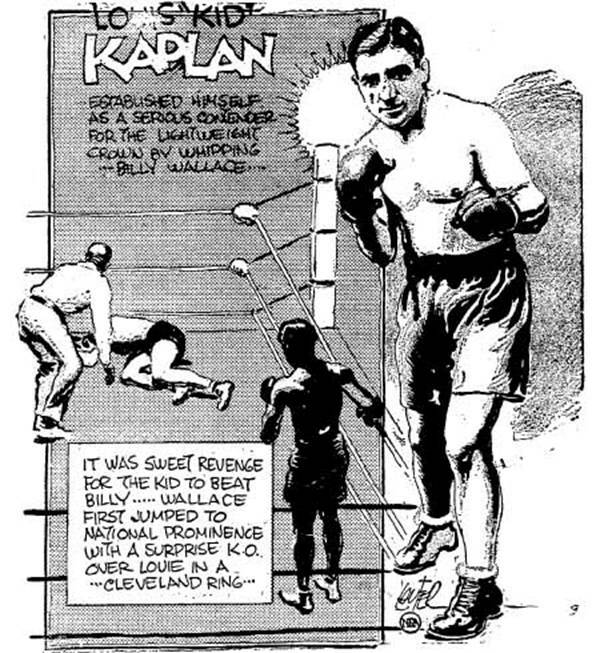 Kaplan won the featherweight title Jan. 2, 1925 by stopping Danny Kramer. But one of his more memorable fights was against Jimmy McLarnin in 1927. McLarnin stopped Kaplan in the eighth round, and today all three men, McLarnin, Kaplan and McMahon are good friends. Not too long ago Jimmy McLarnin telephoned McMahon here asking about Kaplan,who isn't able to talk because of a stroke he suffered three years ago. McMahon told McLarnin that Kaplan was doing well. "I never told you this before, Denny, but in that fight with Louis, when he knocked me I down the first time he broke my jaw," McLarnin said. "I know that doesn't help him today but I never got hit so hard by anyone in my: life." 0n his next visit to Kid Kaplan in the hospital. Denny, thinking -to make his fighter feel good, told him what McLarnin had said over the phone. Kaplan listened, then tears formed in his eyes. Denny grabbed the kid and Hugged him. "Don't mind that a bit. Louis," he told him. "That's all water over the dam. The last thing Jimmy said over the phone was 'Give Louis my love. :"He then fed the kid the chocolate ice cream he had brought. Louis”kid” Kaplan of Meriden won the referees verdict over Earl Bird The Californian featherweight. A slashing twelve round bout at the State Street Casino last night. The decision was popular but a draw verdict would have, pleased the fans better. Kaplan had the better of seven of the twelve rounds fighting in usual whirlwind fashion and keeping his opponent on the move throughout the entire engagement. He proved that he could take as Baird hammered him with body blows throughout the entire engagement. The Meriden Bearcat set a terrific pace in the first round and baffled Baird with his queer style of starting blows in all directions. Has tactics greatly resembled those of Harry Greb. the Pittsburgh Windmill. The fans expected Kaplan to tire before the tenth round .but he was still in the same form at the close of the affair as in the initial round. Baird’s intent was to wear Kaplan down with hard body blows but the Silver City battler stood all that Baird could pass and repaid the coast battler many extra in return. In the seventh round Kaplan drew blood from Baird's eye and from this on the Californian started to punish Kaplan severely. Baird closed Kaplan's left eye in the tenth frame. Both of Kaplan's ears were swollen when the twelfth round ended and it is certain that if Baird started earlier he would have won. Kaplan had his usual spurt in each round, landing several hard rights and lefts and missing many, Baird was clever In getting out of the way of many of Kaplan’s starting attacks. Baird was warned several times for landing low blows by referee McAulife. Kaplan’s jumping style and his manner Of blocking were the cause of many of these apparently low clouts. Baird was the first to enter the ring. Kaplan followed shortly after and received a loud reception from the Meriden delegation. Kaplan was aggressive in the first three frames and won all by a shade. The second could be classed as even and Baird Got in many body blows. Kaplan won on the 4th, 5th and 6th. The 7th was even with Baird leading the Meriden Battler in the 9th and 10th . The 11th was even and Kaplan’s whirlwind finish gave him the last round. Kaplan did not certainly show a great deal of sportsmanship in holding continually throughout the last five rounds. A rush followed by a clinch constituted the Silver City Battler’s tactics. 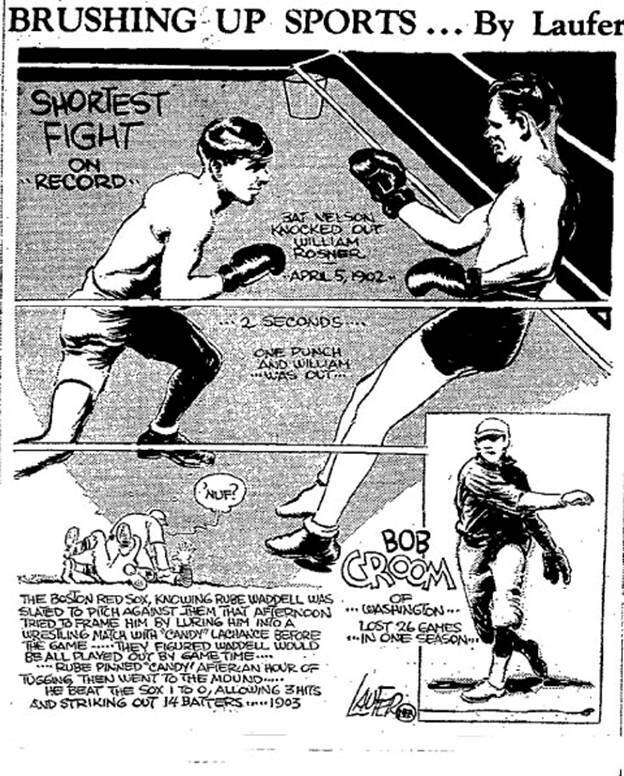 Louis “Kid” Kaplan of Meriden was awarded the verdict over Earl Baird, of the Coast, when the latter fouled him in the 8th round of a scheduled twelve round bout at the State Street Open Air arena Last night. One minute and forty seconds had elapse when the disqualifying blow was delivered. Kaplan fell against the ropes in pain and was helped to his corner by his seconds. Dr. Maurice J. Greenstien, club physician, examined Kaplan soon after he reached his corner and testified that the Meriden Battler had received a low blow. Baird who is always noted for his gentlemanly tactics vehemently protested that he had fouled the Silver City battler and apologized to Kaplan before he left the ring. Referee McAuliffe stated the blow was as clear a foul as could be delivered and further added that it was not the first time during the bout that Baird had hit in this manner. McAuliffe stopped the bout three times to warn Baird. The decision was met with the general disapproval of the fans who booed the referees verdict and the statements of the club physician. It was certain that Kaplan does not like body blows and it was to this that Baird resorted throughout The bout. Kaplan using his jumping style jumped into many foul blows that were not intentionally delivered. The Meriden fighter was leading at the time the disqualifying punch was struck and he needed only to hold Baird in check to win the verdict. Kaplan had five out of the seven rounds, the other two being even. Kaplan fought like a miniature Harry Greb and had Baird continually on the receiving end. He landed a series of rights in every round which bothered Baird and made him resort to clinching. The Silver City fighter staggered the Californian with stiff uppercuts in the 3rd and 5th rounds. The 1st, 3rd,4th,5th and 7th round went to Kaplan and he might have been awarded a slight shade in the 2nd. At the opening of each round Kaplan popped out of his corner like a shot out of a gun and Baird never had to come across the center of the ring to meet him. Kaplan starts his brilliant attack in the 1st round. Baird took the lead and tapped Kaplan lightly to the nose. They exchanged in a clinch. Kaplan started in a “Jumping Jack” manner and soon put the Coast star in trouble .Louis planked two on Baird’s jaw Which staggered him. He landed several more rights and Baird was unable to get a lone punch in. They opened the second round by clinching Kaplan landed a series of left and right hooks to the head and followed with several rights to the jaw. Baird jabbed effectively a few times and the exchanged body blows in a clinch. Baird hit Kaplan a hard right to the head and they were clinching at the bell. Kaplan was pushing the fight to Baird and had him bewildered by his baffling attack. Kaplan staggered Earl and the fans were calling for a knockout. He landed several light taps and staggered again with a hard left. Baird was showing signs of weakness but gamely stood up under a shower of blows which came from all directions like lightning. Baird opened up his body attack In the 4th but Kaplan was able to cope with him.Baird was bleeding badly from his left eye And hung lose to the Meriden boy. Baird was warned twice for low blows but Kaplan appeared to be jumping Into them.Baird was again dazed by Kaplan’s startling attack and was smeared with blood from the cut over his left eye. Baird opened up and staggered Kaplan with a right to the head. He followed with several more telling blows but Kaplan closed the frame in his usual whirlwind fashion. Baird was again warned in the 6th for hitting low. The fans were missing Kaplan’s complaints to the ref. Baird was still on the receiving end although his body attack was telling on Kaplan. 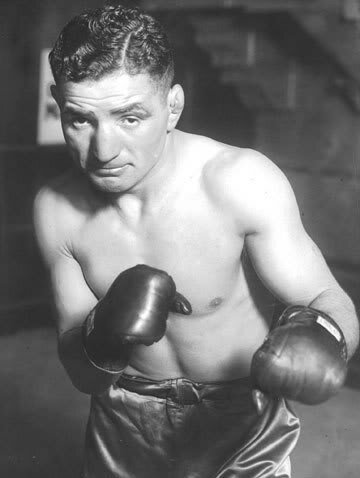 Baird hit Kaplan with a solid right smash in the 7th and effectively jabbed the Silver City Battler several times .Both fighters were missing repeatedly Baird scoring in the stomach but Kaplan closed in a startling fashion. They clinched at the opening of the 8th , Baird was leading with blows to the stomach. they clinched several times and suddenly Kaplan fell against the ropes near his corner. Referee McAuliffe waved his hand announcing Kaplan the winner. Kaplan Easily Outpoints Doc Bright in Slow Fight. Kid Kaplan, of Meriden, was awarded the referee's decision over Harvey Bright, of New York, in a 12 round bout here tonight. Bright showed little ability at fighting except in the sixth round, and protested repeatedly to Referee McAuliffe on Kaplan's failure to obey the rule's of breaking clean in the clinches to which Bright resorted frequently to save himself from punishment. Kaplan won eight out of 12 rounds, three were even, with the sixth going to Bright. The Meriden boy failed to show any of his credited ability and was wild during the first four rounds. He drew blood from Bright’s mouth in the eighth, and closed his left eye in the ninth. Kaplan did the leading In the first round, but was very wild. He peppered four rights at Bright's Jaw, and a stiff sock to the stomach made the Gothomite wince. They both missed in the second in which little “fighting" was done. They exchanged light wallops to the body, and Bright hit Kaplan low just before the bell. The third opened with a clinch, with Bright taking the lead, leading two rights to Kaplan's head and peppering him in the body in infighting. The round was marred by frequent clinches. Kaplan opened up his whirlwind style in the fourth ,bounding rights and lefts off Bright's jaw, and. Making his body look like a nose in pro-Volstead days from the terrific attack he launched in the infighting. The fifth round was filled with clinches, and Bright did what little fighting was done. A lone light tap on the head was all that Kaplan could land in the sixth, while Bright stood back and used his left jab to perfection. Kaplan got working again in the seventh and made Bright's head bound back and forth with a series of left jabs and forcing Bright to back away from a strong body attack. The body attack of Kaplan surprised the fans greatly as in his previous bouts the jaw was his main target. Kaplan missed at the start of the eighth, but Bright was unwilling: to take advantage of several opening's that were offered to him in a slow round. The ninth round was the best of the evening, Kaplan ripping away in perpetual motion fashion drawlng blood from Bright's mouth, and closing his left eye. Bright was in a dazed condition at the close of, the round. Kaplan kept up his whirlwind tactics in the tenth while Bright forced him into clinches and protested to the referee- at Kaplan's hitting off the breaks. The eleventh was a slow round being marred by Bright holding on, while Kaplan was unable to break loose from, the New York boy's strangle hold. Kaplin pasted him to every corner of the ring in the final round, receiving but one light jab in return for about 20 wallops. The decision was loudly applauded by the small gathering of fans. The house was the smallest that Meriden has witnessed since Kaplan jumped into the pugilist limelight. Not more than 1000 fans were present. But Joe Williams picks him to lose to Kaplan and take Johnny Dundee’s title on January 2nd. Taking Joseph Carrora of Sharkai, Italy, otherwise Mr. Johnny Dundee of New York, at his word that he has Definitely and completely renounced the championship, a new feather-weight king will be crowned, in Madison Square Garden Jan. 2. The robes of purple once worn with impressive majesty by such masters as George Dixon,; Terry MoGovern, Abe Attell and John Kilbane -will be handed down either to Kid Kaplan of Meriden, Conn. Or Danny Kramer of Philadelphia, survivors in the recent featherweight tournament. It will be a contest between , a one-punch battler in Kramer and an all-round efficient workman in Kaplan. And while the educated dough is riding on Kramer to win, the writer succumbing to an emotional hunch, is stringing along with the New Englander. To beat Kaplan Kramer will have to hit him at least once.If Kaplan is the boxer we figure he is Kramer will have trouble getting a full shot at his jaw.Kramer, a southpaw, is a jaw puncher. He likes to nick the button. This element may operate against Kaplan’s chances; he has trouble making the weight, which is 126 pounds, eight hour s before the fight. Kaplan has weighed more than 140 pounds at times without being Seriously out of training. Kramer is more of a natural featherweight and if he does put over his heavy punches solidly enough to win the title he will make a capable and reliable champion. On the other hand, if Kaplan wins he may not care to keep at the low weight and this would be bad for the division. In lending Kaplan our moral and prophetic support in this fight – and we hope the Connecticut Russian appreciates it – we are counting on him being smart enough to solve Kramer’s unorthodox style of milling. a southpaw Is hard to solve because you face so few of them in the course of a career. Swish, Bang, Biff, Smash, that’s the drive of Kid Kaplan against battered human flesh. that’s the cheers of a maddened Meriden ,Conn., honoring their champion. 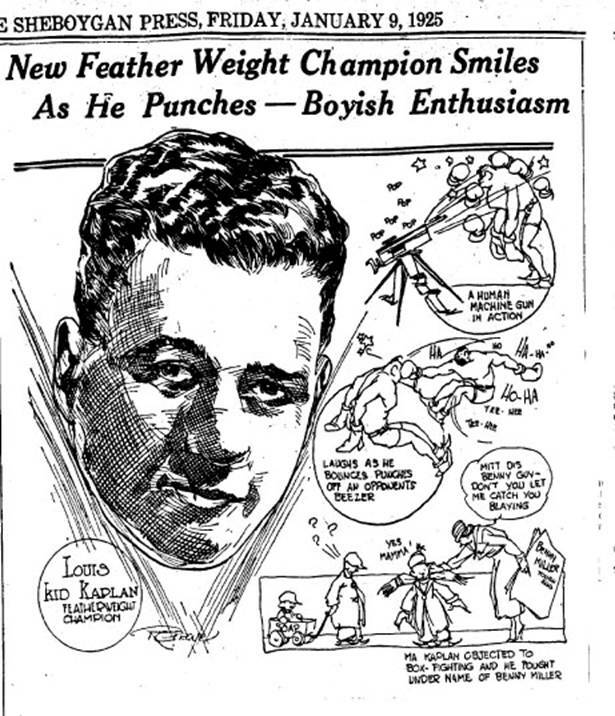 For Louis "Kid" Kaplan last night drove himself into a featherweight championship with various rights and lefts that bounded and beat off the defenseless body of Danny Kramer like rising, breakers against storm swept rocks. For eight rounds Kaplan swung and swung and swung. For eight rounds Kramer stood up to the punishment, his face battered and bleeding, his right eye cut to a pulp, his nose and ears spurting blood. Each round it seemed that it must end; each round the Philadelphian staggered and wobbled and tottered .like an oak before the axe of a master woodsman. But still he kept his feet, fighting blindly with the instinct of a bulldog that knows no defeat but oblivion. The fans, standing on their chairs like wolves howling for a kill sickened at the massacre. But still they fought on, and still Kaplan's fists flew like driving pistons, carrying him on to a championship. Then in the ninth the end came. Out of Kramer's corner a towel came hurtling a towel stained and reddened with the blood of the battler who stood in. mid ring, too dazed to know what, had happened ,too dazed to realize that a generous second had brought merciful release from punishment that seemed endless. With blood spurting from his nose, his face a gory smear, His eyes closed, Kramer was led back to his corner. He staggered And tottered but he tried to push away his seconds. He wanted to fight, wanted to Keep going, wanted to carry on. And so it ended – a fight that will go down in boxing history as one of the most vicious of all time.